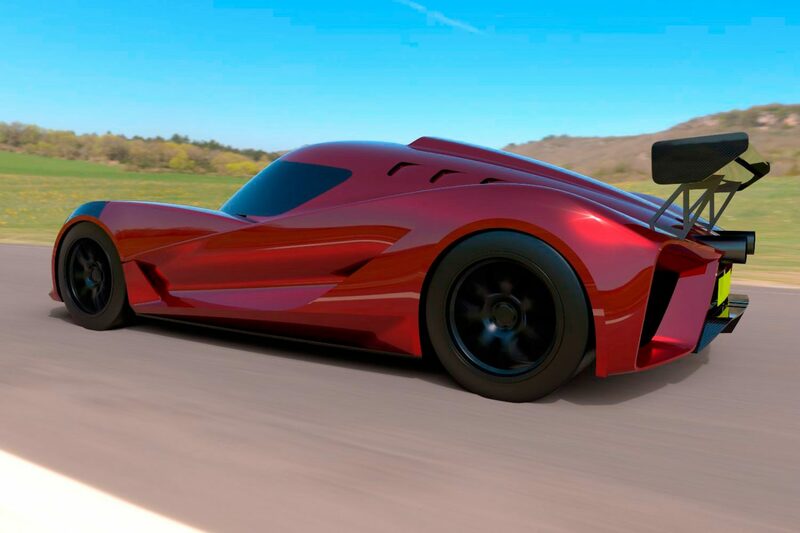 EIDO GTR Concept is a project by Miroslav Dimitrov based on a famous British sports car. Using the rolling chassis of Ultima GTR, which is the unofficial Top Gear track record breaker, his idea is to create a new design on it. 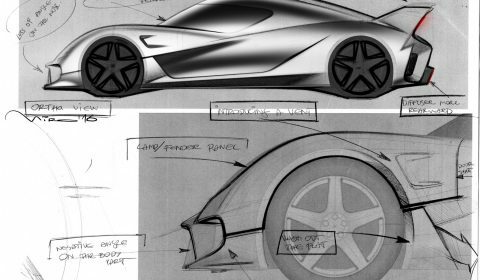 With engineering of the donor car that is quite an achievement in terms of chassis balance, efficiency and performance, there is however something that can be improved on the design. 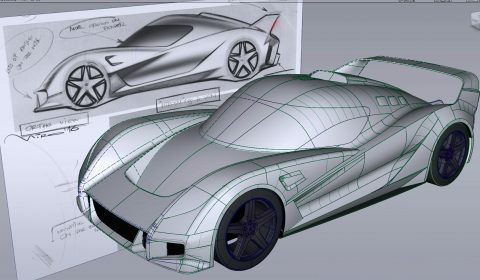 Miroslav thought this is a great opportunity to create a new bodywork to compliment the performance and abilities of the famed sports car. With dimensions of 4000mm by 1850mm by 1070mm and wheelbase of 2560mm the donor vehicle is indeed very small. Thanks to some clever engineering to its structural components the car is extremely compact with a lot of room under the exterior body panels. 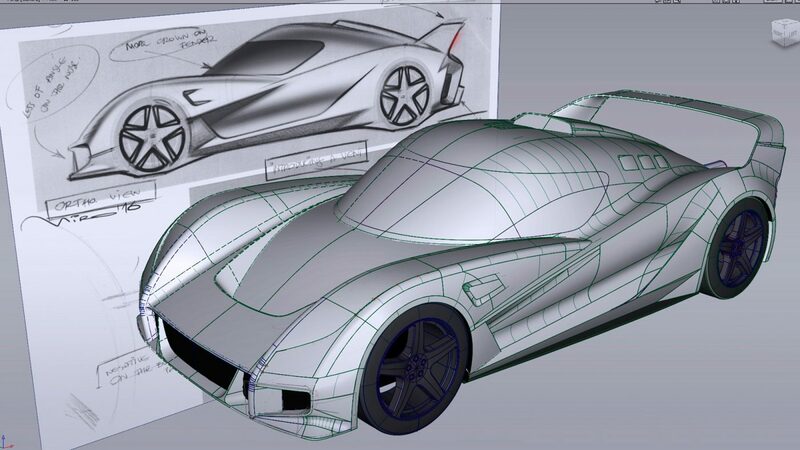 Undoubtedly that will make for a car with amazing proportions and volumes! 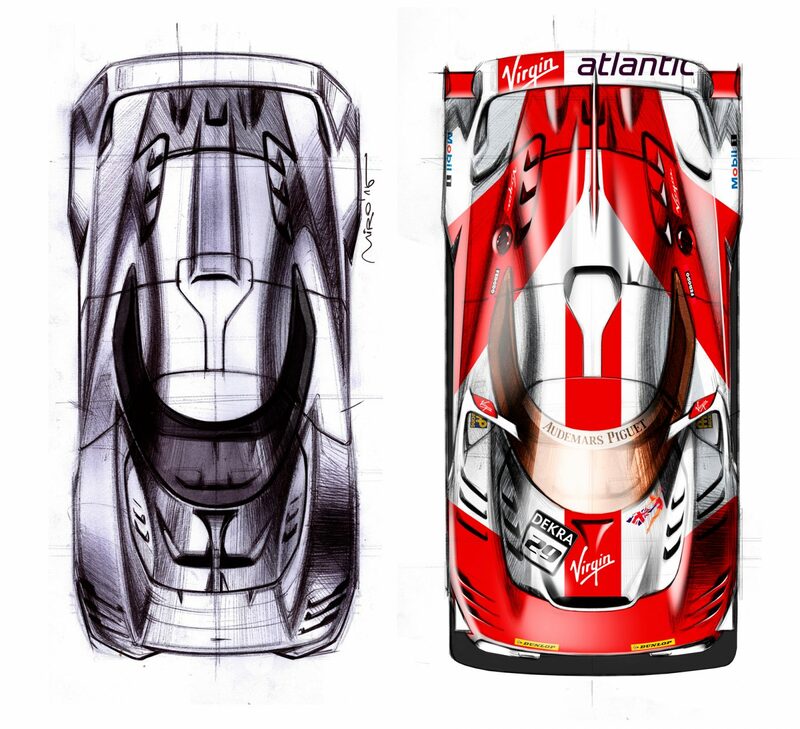 Design work started in the form of quick sketches as early as 2013. 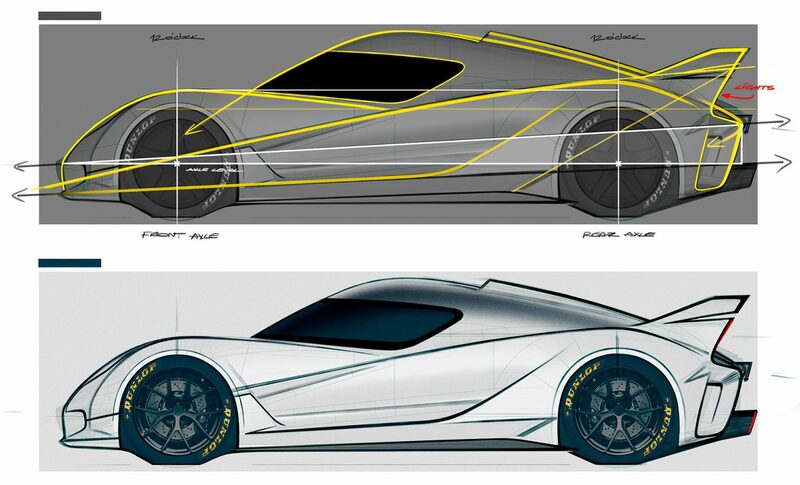 Firstly considered were potential modifications to the bodywork of the donor car and what could be done with very little effort, but with great results. Gradually the idea of making a brand new design and turn it into a One-Off was consolidated and a new direction of bolder and more daring and sculptural design started to emerge. With completely new design on the table, the first task was to give the car a more athletic stance by fixing how it sits on its wheels. An invaluable contributor to the sportier appearance is also a modern and beautifully sculpted design language that compliments the proportions of the vehicle. The front and rear fenders now feature a lot more shape compared to the original car while retaining all the hard points. Wrap-around glass was introduced for the cabin of EIDO GTR Concept and the central intake now is more integrated and stylish. 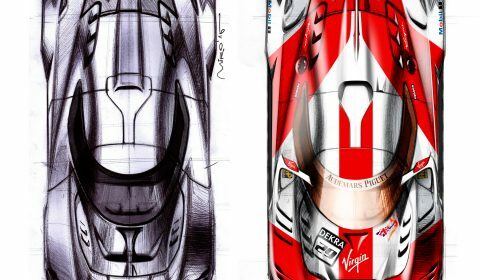 Formula 1 inspiration was used for the rear end and it’s diffuser in particular. 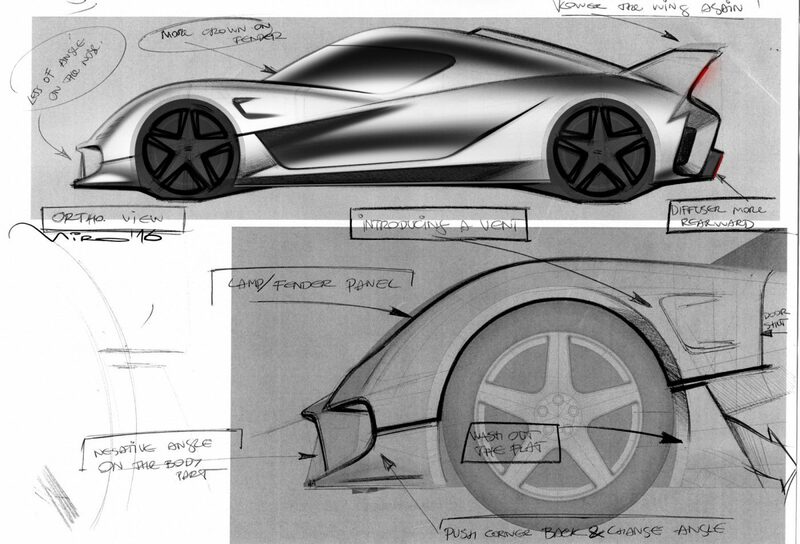 Another very recognisable feature of the initial design proposal was an integrated rear wing aka Ferrari F40, which can be seen in the early development sketches. However this idea has been rejected and the current design features a non-integrated fixed wing. 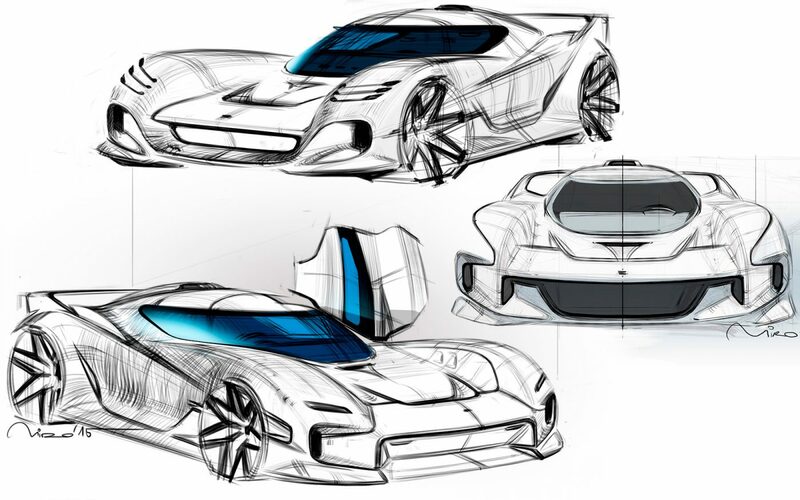 Miroslav is currently seeking for an engineering and manufacturing partner to complete the EIDO GTR Concept development and turn it into a finished vehicle. 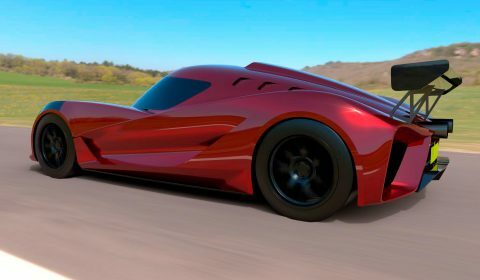 While the donor car is using V8 petrol engine producing 1000 bhp, the concept can easily be converted into an all-electric battery-powered sports car. 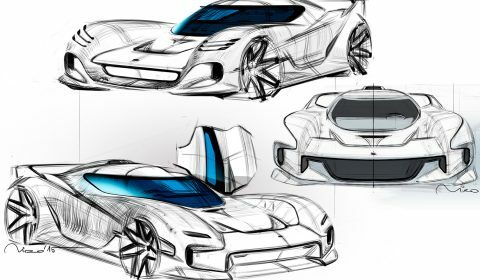 With Electric powertrains currently offering great advantages in terms of sustainability, vehicle performance and complexity compared to petrol cars this could be a great alternative to make this project happen. If you would like to find out more about this project, please feel free to contact Miroslav Dimitrov for more information.